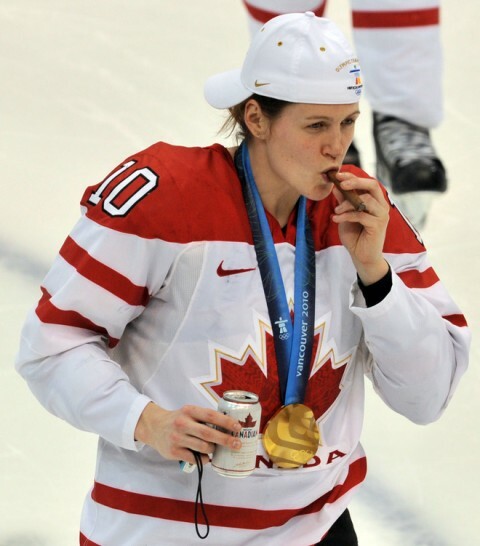 Coming into the 2010 Winter Games, Canadians were hoping to “Own the Podium,” but the chief concern across the country was getting the gold in both the men’s and women’s hockey tournaments. After last night’s victory over the U.S.A., the women have done their part, and that called for a celebration. 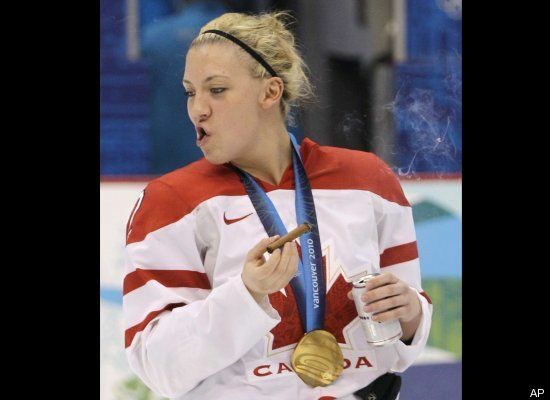 However, their celebration has raised some eyebrows among members of the IOC after pictures were taken of the ladies indulging in some beer, champagne and cigars out on the ice hours after the final horn blew to end the game. 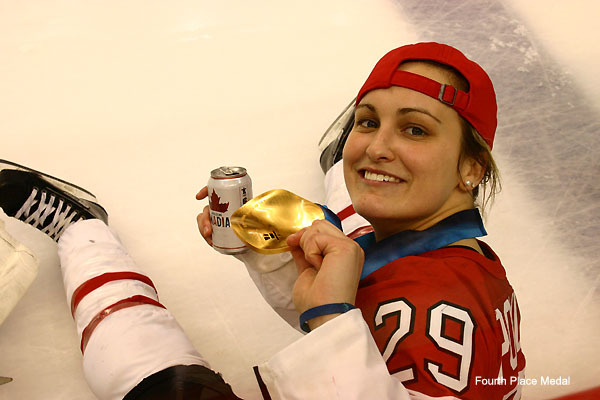 Once the medals were presented and the arena was cleared of competitors and fans, the Canadian women made their way back out onto the ice in order to take it all in, one last time. 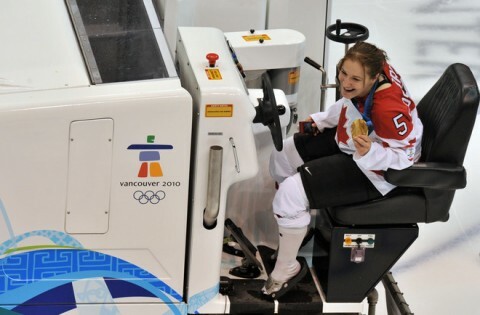 Along with the likes of Meghan Agosta, Haley Irwin and Jayna Hefford, was 18-year-old superstar Marie-Philip Poulin (who scored both goals in the 2-0 victory). With the legal drinking age in Vancouver being 19, it is not hard to understand why this has also become an issue. The IOC will investigate this matter and deal with it accordingly, but was it really that bad. 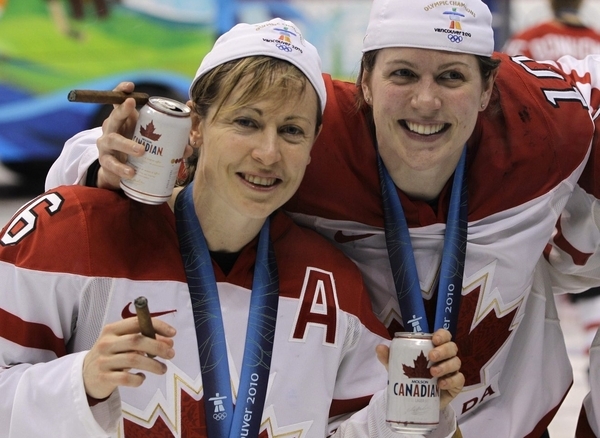 After all, the fans had gone home and the ladies were simply enjoying the moment while gulping down some Canadian beer, sipping on some bubbly, and puffing on a celebratory stoggie. No one was harmed and it was all in good fun. Are they really sending a bad message? Executive director of the IOC, Gilbert Felli stated that drinking in public is “not what we want to see” from athletes at Olympic venues, but if there is no one around, besides the team and some reporters, is it really considered drinking in public? Expect the IOC to answer that question within the next couple of days. In the mean time, here are some of the picture of their post-game celebration. Congratulations ladies. You’ve earned it!